Hi. I meant to go into this in a bit more detail after using it in some of my scripts. Recursion is a pretty interesting idea and it’s used quite a bit in scripting. I’ll describe it below and then I’ll jump into an example using PowerShell in the next post. Recursion is the process of repeating items in a self-similar way. For instance, when the surfaces of two mirrors are exactly parallel with each other, the nested images that occur are a form of infinite recursion. In Computer Science and scripting it’s used to define a problem (or to solve a problem) in terms of itself. 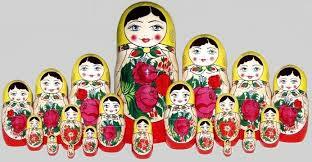 A Russian Doll is a doll that contains another, smaller Russian Doll. In this case there is some end-point where the dolls can’t contain anything smaller because of the restrictions of reality. In computer-space this restriction doesn’t always apply. Exponent doesn’t equal 0 so we skip the first line of the function. Power returns 10 * (Power (10, 2). Power returns 10 * (Power (10, 1). Power returns 10 * (Power (10, 0). Exponent equals 0 so we return 1. In the next post we’ll look at using PowerShell and recursion to calculate the size of a folder.